When I first arrived in Seoul, despite having studied Korean for quite some time by myself and with a private teacher, my level was too low and I did not even have the courage to speak out loud. 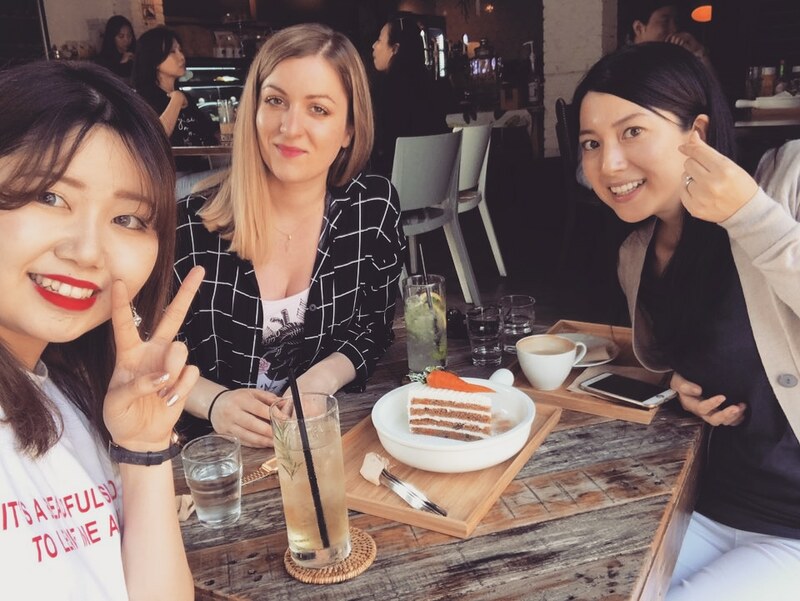 Coming to Korea definitely changed everything and I can now have small conversations with locals and understand what is going on around me (the only exception is when old grandmas are chatting, that is impossible to follow!). Just a few weeks ago this would have been impossible. I have classes only three hours a day so I must say self study is playing an important part in my improvement. Everyday after lunch I go to a café to review the grammar, vocabulary and excercises covered in the morning. Some cafés open until late (1 AM) but of course there are 24 hours chains for people who want to spend longer hours at night. I prefer the little, unique shops visited by locals. 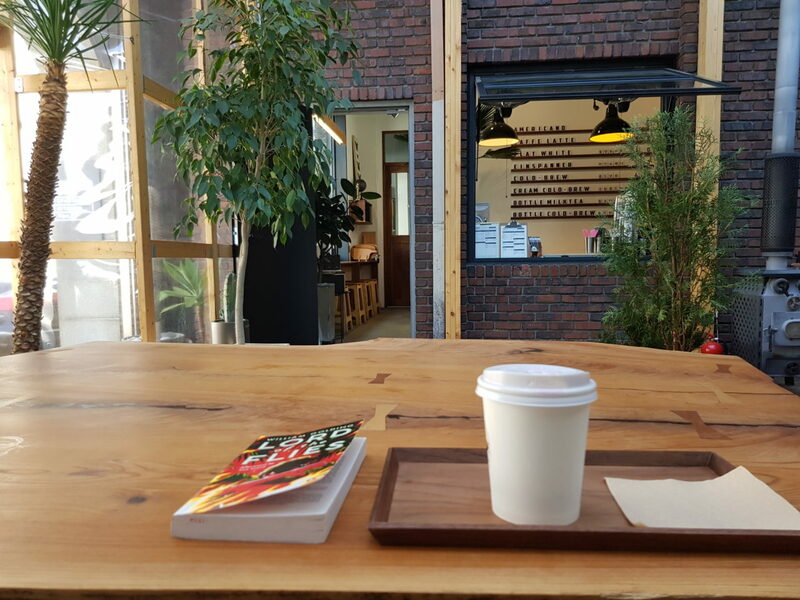 I always hang around Gangnam, but I found many beautiful cafés around Yeonnamdong and Konkuk University too. My favourite one is hidden behind a park and because it is not very busy the barista and I became friends. 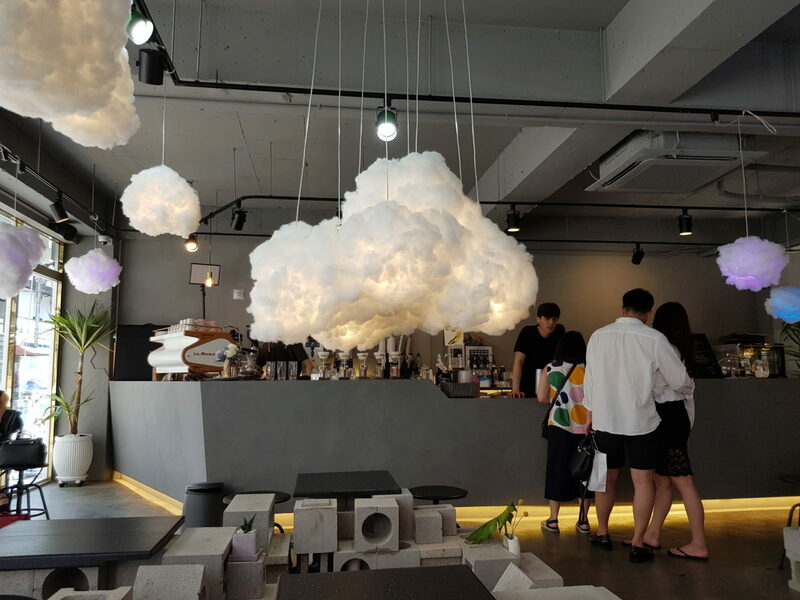 …and thankfully, Seoul is full of beautiful cafes! Most Koreans can understand and speak English, even though they are shy about it, so it is really easy to bypass speaking Korean if you are feeling lazy. I try to avoid that as much as I can. 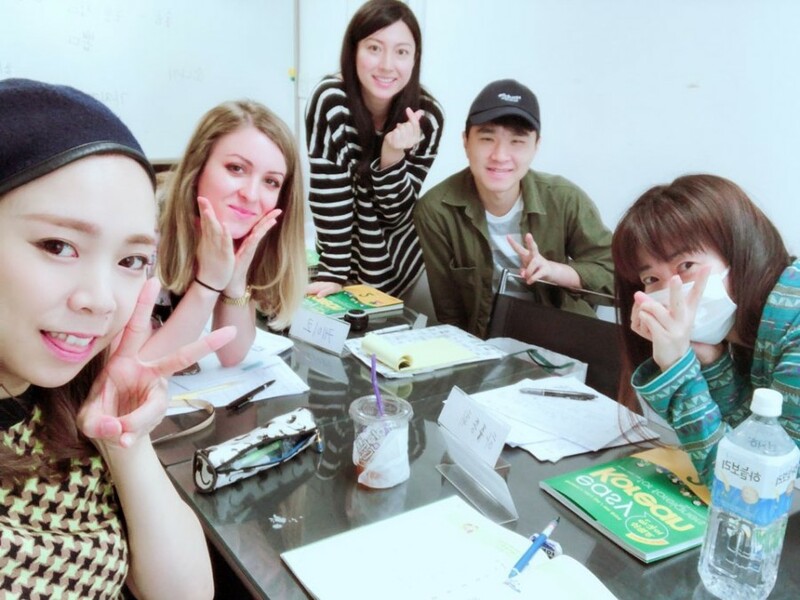 No matter how funny and ridiculous I may sound I try to speak Korean with everyone, in my class and outside. I think gaffes are part of the process and help you learn faster. If you feel shy to talk with your friends I would suggest talking with shop assistants and baristas. I sometimes walk in a store just to ask some questions about products I do not really care about and practice my listening skills. If I do not understand what they are saying it is not a big deal, sometimes I just grasp one word. If I do not understand nothing as all I just not and smile, simple! My favourite thing to do is talk with the old ladies who work at those small Korean restaurants. If they are not too busy they are always happy to stop and answer my questions, and they are really kind. 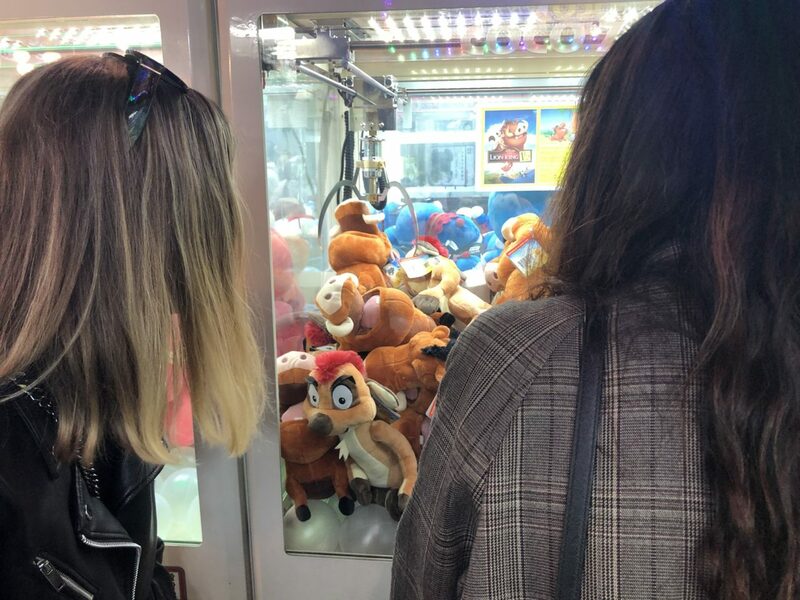 Work hard, play hard: it’s always important to take breaks from studying and have some fun! Real life situations are totally different and a lot more difficult, but it is better to practice in order not to sound too scholastic. Sometimes books are too old or teach you terms that people do not usually use in daily life, so it is always better to practice with real people. Watching TV and radio shows is also really helpful. I downloaded some podcasts and listen to them even when I am walking around the city. Let’s see how fast I can improve!